I delved into the sport in depth a few years ago and have kept all the records up to date to look at key aspects of it from a trading perspective. While there are not huge amounts of money traded on F1, I’ve enjoyed the intellectual pursuit of understanding the sport a bit better. It’s thrown off a few characteristics. The number of retirements in F1 have been falling over time. I guess that’s due to safety, rule changes and better cars. Back in 1996 50% of cars never saw the end of the race, but 20 years later this had fallen to around 20%. Retirements can occur for a number of reasons, but I generally classify them as mechanical or accident related. If you are racing around a street circuit, then it’s much more likely you will retire through an accident rather than mechanical failure. For a racetrack, the opposite is true. Throw in a bit of rain and that increase the chance of an accident, but reduces the chance of mechanical failure as the cars are likely to be going slower. The summary, street circuits and rain will cause more accidents and variability in the outcome while dry racetracks put significant mechanical stress on the cars. Maximal trading conditions would be a wet, fast street circuit. Guess what’s coming up this weekend? The Aussie GP is on a street circuit, but you wouldn’t think it from the speed. It ranks the highest of the street circuits for speed and 13th out of 23 overall for average speed. So it’s fast for a street circuit. This combined with the tight nature of a street circuit puts it up there in the ranks of uncertainty and that is exactly what you want from a trading perspective. Throw in a few rule changes and it could potentially be an interesting race. Rain is forecast for qualifying and there may be some on the day of the race. 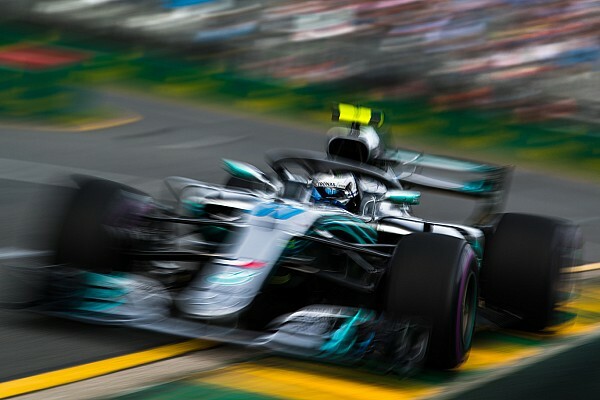 We have only had four wet Aussie Grand Prix’s, so I don’t have detailed stats on the effect it has on the race, but given the impact, in general, it should throw something interesting into the mix. I had a look at the stats on where a car starts and finishes and Australia ranks near the bottom of first place on the grid to finishing first in the race. My records showed that only 62% of the time did 1st on the grid end up in the same place at the end of the race. This dropped to 52% for 2nd and 33% for third place. Placing 1-3 on the grid to end up with a podium finish occurred in 49% of races and was rank bottom on the entire list of F1 courses. So if you are watching the first race of the season. Hopefully, I’ve given you some possible trading angles there. A pioneer of Betfair trading and an elite sports trader - I opened my Betfair account on 18th June 2000 and I am still going strong. I've now devoted the majority of my working life to pursuing excellence in Betfair trading / sports markets, which I am looking forward to passing on to future generations of traders. I approach the markets from a number of angles using quantitative and qualitative approaches, but I also throw in some psychology to maximise any opportunties. For me, doing is far more important than talking, so I still work hard every week to push the very boundaries of what is possible in the markets.